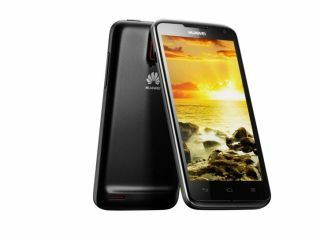 Huawei has announced the arrival of the Huawei Ascend D Quad at MWC 2012, a phone which claims to be the 'world's fastest'. Originally teased back in early February, then as the Huawei Ascend D1 Q, the phone is one of eight handsets from Huawei to be shown off at the show. Powered by a K3V2 quad-core 1.2GHz/1.5GHz processor, the Huawei Ascend D Quad is part of a handful of smartphones debuting at Mobile World Congress which make use of a quad-core chip. The Huawei Ascend D Quad runs Android 4.0 Ice Cream Sandwich and when it comes to screen size, the phone has been given a 4.5-inch 720P high definition touchscreen, with 32-bit true color graphic processor. Huawei is claiming that as it has 330 pixels per inch, the screen will be able to be seen even in direct sunlight – so no squinting and trying to find shade then. The rest of the specs are equally impressive. For audio, there's Dolby 5.1 Surround Sound and Audience earSmart voice technology. When it comes to imaging, an 8-megapixel BSI rear-facing camera, 1.3 megapixel front-facing camera, and 1080p full HD video-capture are all present and correct. The Huawei Ascend D Quad battery life is decent too – using an 1800mAh battery, it is thought there's 30 per cent more juice on board when compared to other smartphones of its calibre. Huawei has decided that the Ascend is a good enough brand and has also announced the arrival of the Ascend D quad XL and the Ascend D1 – the XL has a massive battery (2500mAh battery) and the D1 is a dual core version of the Ascend D Quad. Speaking about the phone, Richard Yu, Chairman of Huawei Device: "People now use their smartphones as PCs, so a smartphone has to have the same power to help people take photos and listen to their music. "We have made a smartphone with the power of a PC, but one that you can fit into your hand." "While PCs now run at 64bit, most of our competitor's smartphones only run 32bit processors. Huawei is proud to announce that its smartphone, the Ascend D Series runs at 64 bit. "We're very proud of our low power technology and we have over 20 years of experience in this area. "Most phones that state a day of battery life are dead by dinner time, but we've used the technology and experience to make a phone which has over two days of battery life. "The XL model has a 2500Ah battery, and in the future, we will upgrade this to a 3000Ah battery." The Huawei Ascend D UK release date is April, with network partners to be announced. TechRadar is at MWC 2012 in full force, so stay tuned for our hands on: Huawei Ascend D Quad review.